Why: I got the tattoo as a memorial for a friend that passed away. He introduced me to the world of comics and his favorite was Superman. The banner says: You will make my strength your own. It’s a quote from the first Superman movie with Christopher Reeve. 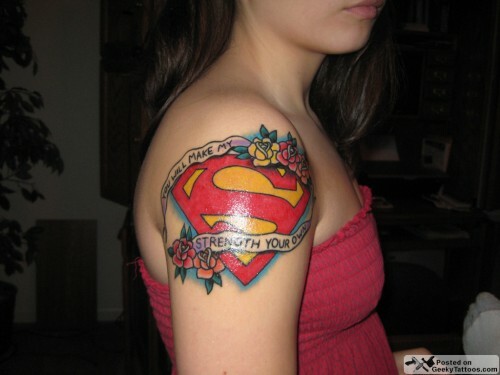 Tagged with Depot Town Tattoo, shoulder, superman.